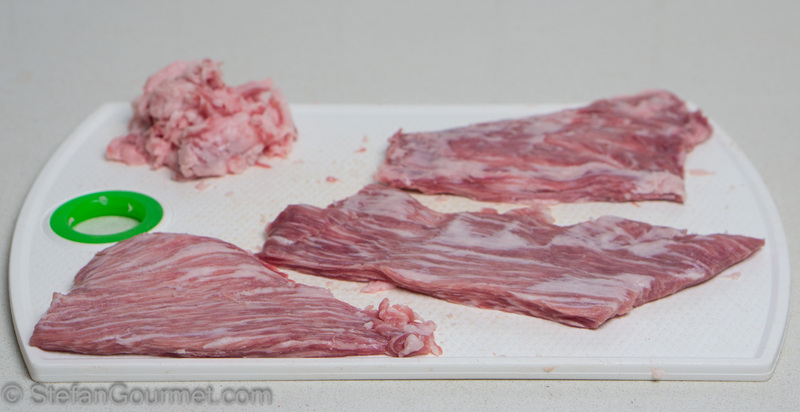 “Secreto” is a cut of iberico pork that is called the “butcher’s secret”. 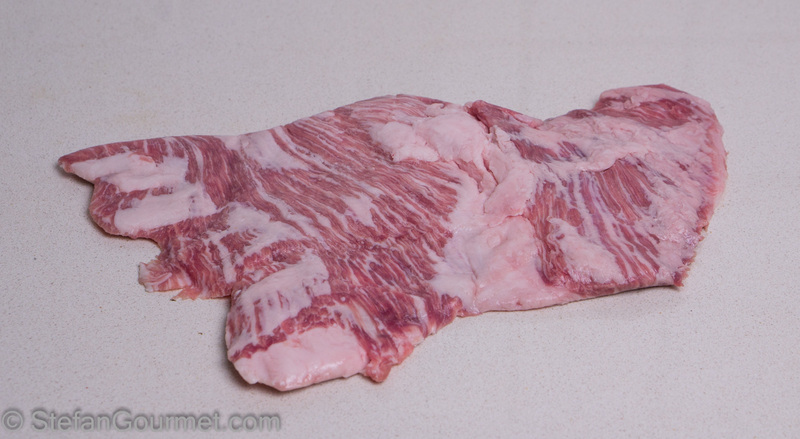 It is very flavorful and marbled, and fairly thin. So thin in fact, that it made me think of veal scaloppine. 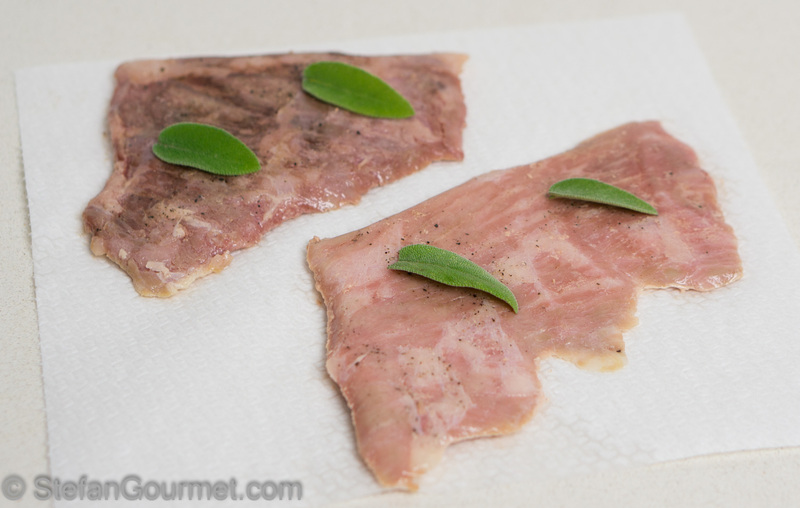 One of my favorite preparations of veal scaloppine is with prosciutto and sage, and is called saltimbocca. And iberico pork is most famous for its jamón, Spanish prosciutto. 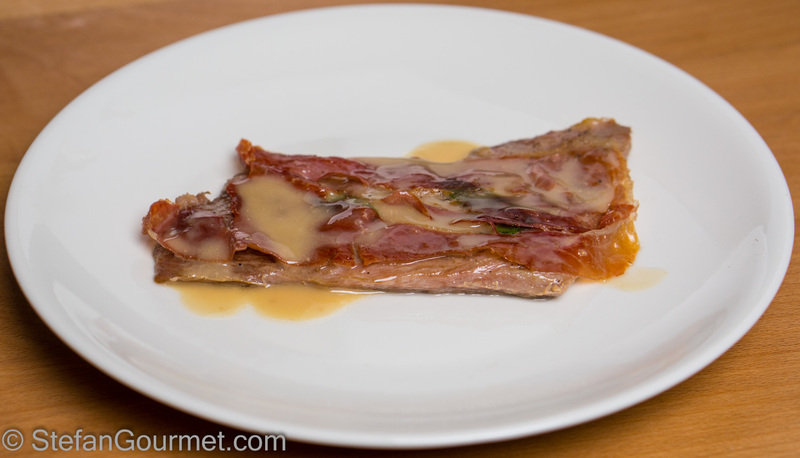 So I thought, why not try to make secreto iberico saltimbocca? 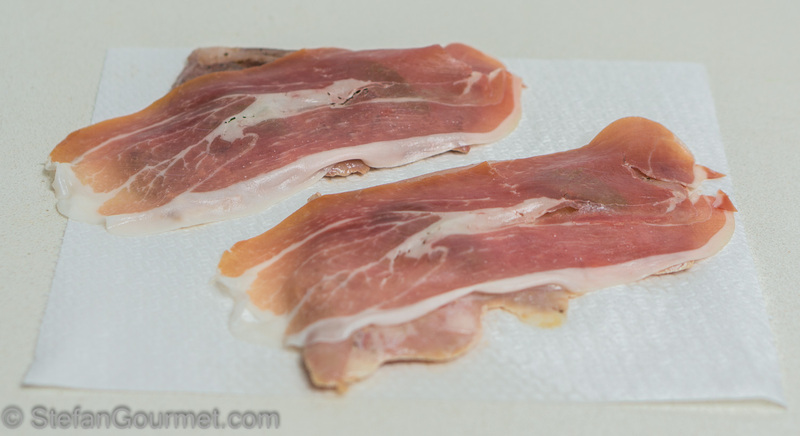 (Perhaps it would be appropriate to translate saltimbocca into Spanish, i.e. saltenboca.) 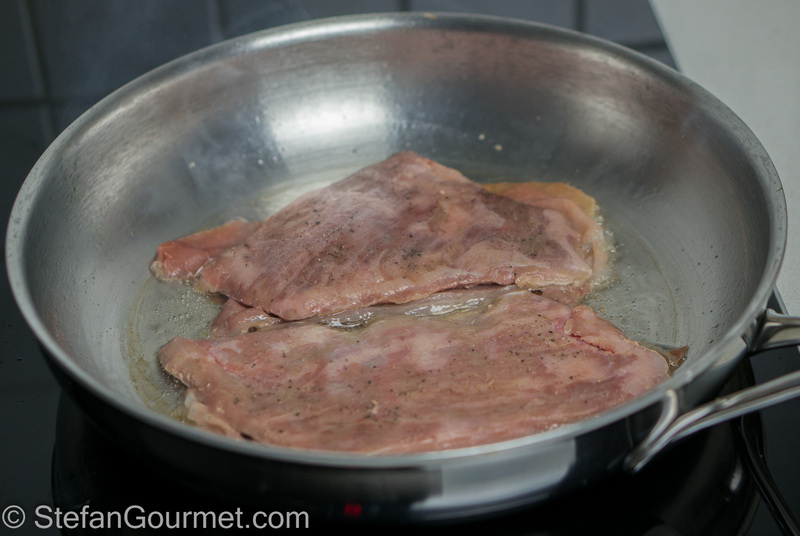 The only problem is that veal scaloppine are cut from a very tender part of veal, and cook in minutes. Secreto would be a bit tough if cooked the same way. 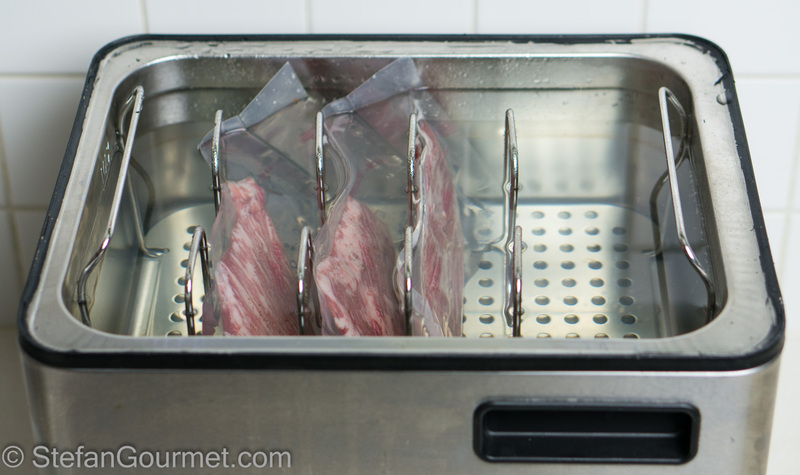 And so I decided to cook the secreto sous-vide first, which I have done successfully before for 24 hours at 57ºC/135ºF. After cooking sous-vide, I proceeded as normal for saltimbocca. The result was amazing! This iberico saltenboca has lots and lots of flavor. Sage and pork are always friends, and here the combination of the unctuous meat, the crispy jamón and the sage is just wonderful. And, apart from waiting for 48 hours for the sous-vide to do its thing, it is really a quick and easy dish! An additional technique I applied to increase the flavor, was to trim the meat of excess fat and render the fat from that to brown the meat at the end. 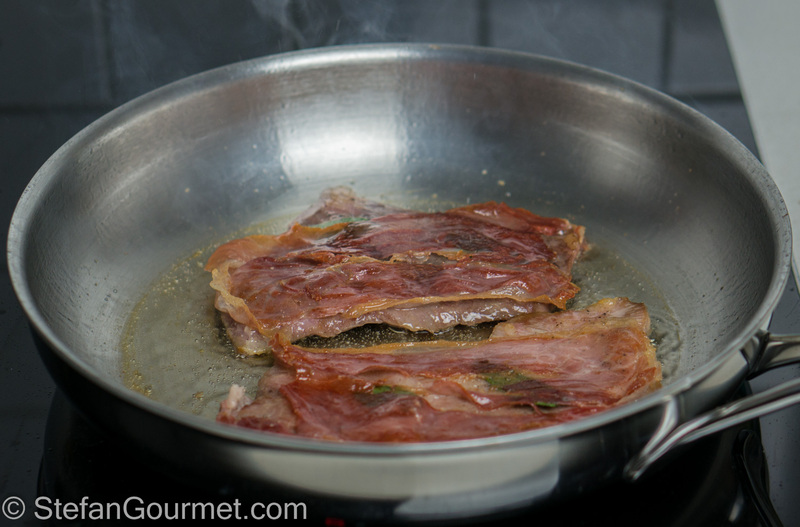 This serves two purposes: it makes the dish less greasy, as because of the cooking technique not a lot of fat renders from the meat otherwise, and it adds more iberico pork flavor than using butter or oil for the browning. From one piece of secreto, usually about 650 grams or 1.5 lbs, you can cut about 3 scaloppine and enough fat to brown all of them. 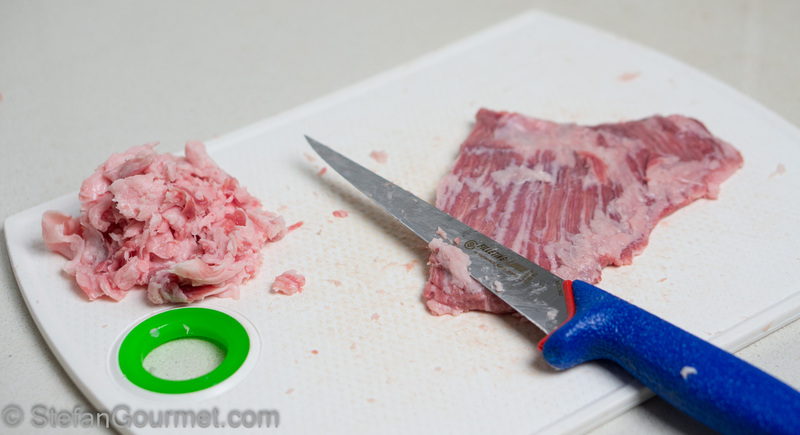 If they don’t have an even thickness, you can use a rubber hammer and pound the meat into an even thickness between two sheets of plastic wrap. 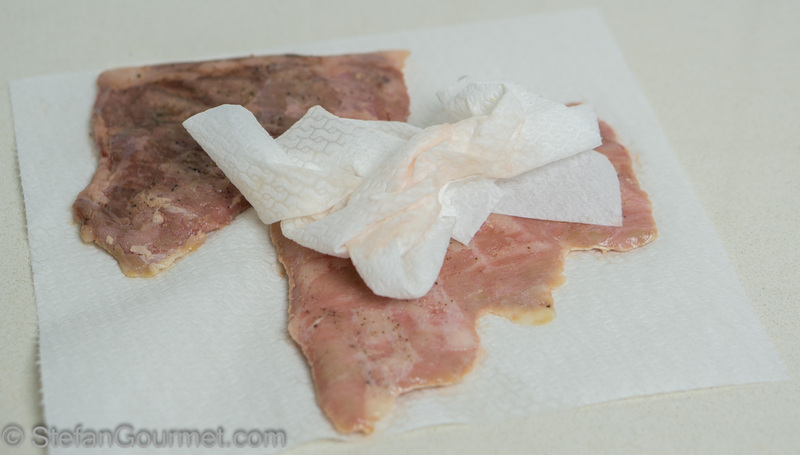 Season the iberico scaloppine with salt and freshly ground black pepper, and vacuum seal them. 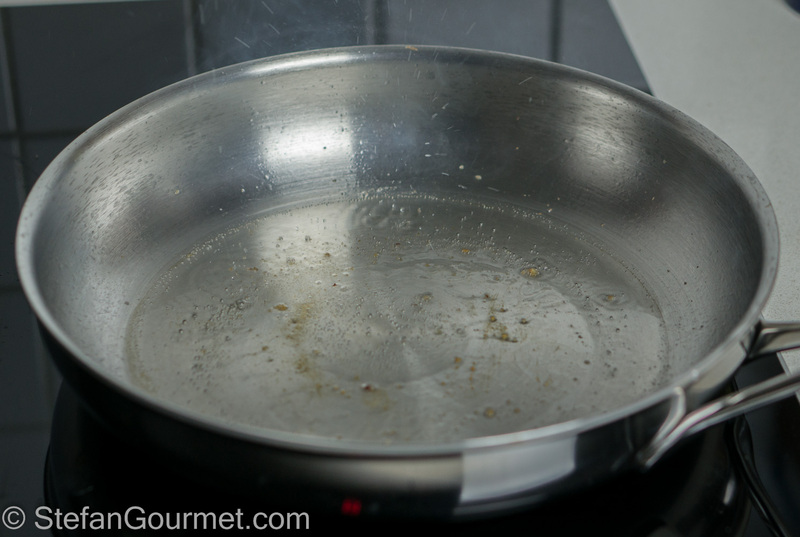 Scald them briefly in boiling water to prevent a bad smell. 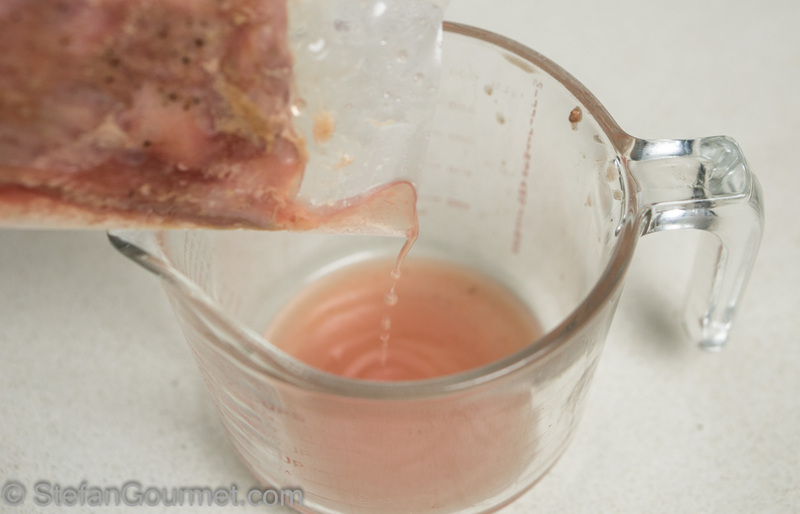 Cook the secreto sous-vide for 24 hours at 57ºC/135ºF. 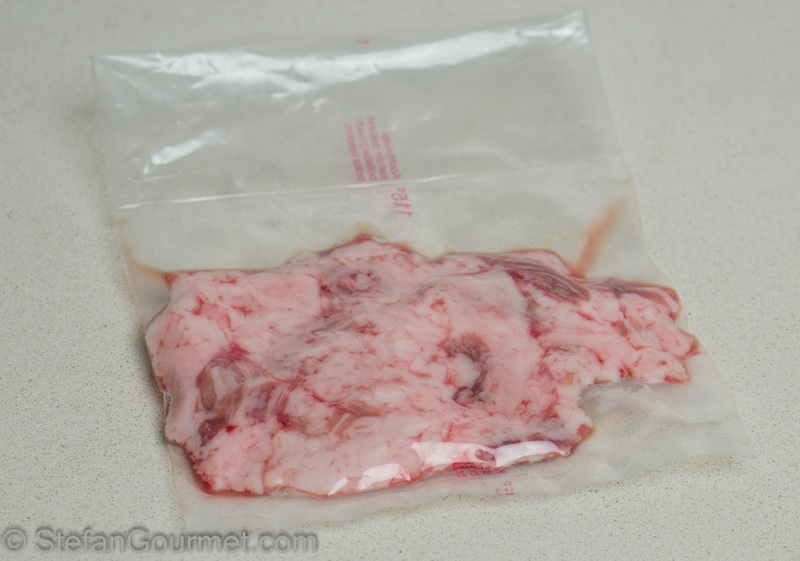 Vacuum seal the fat separately and cook sous-vide for a couple of hour at around 80ºC/176ºF or until the fat has rendered. 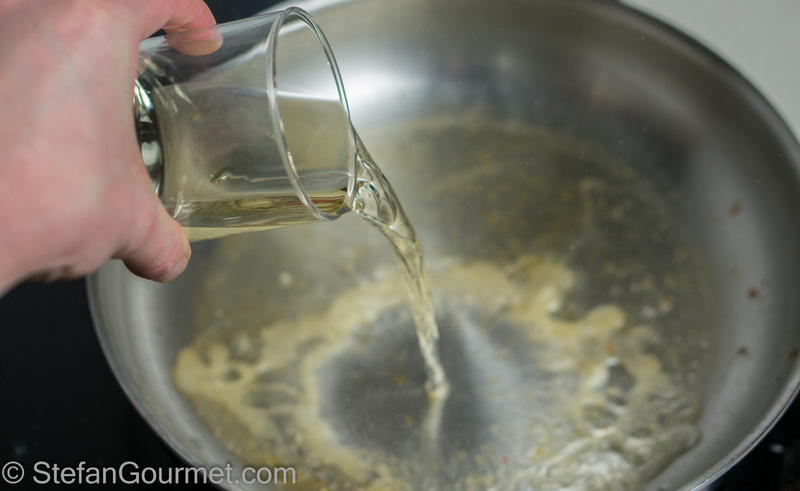 After cooking for 24 hours, open the bags and pour all of the juices into a container. …and finish with a slice of jamón on top. 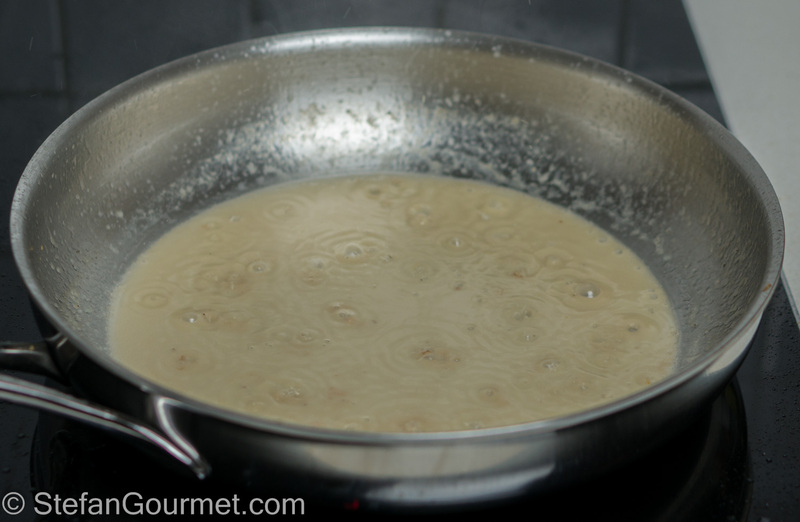 Heat the rendered fat in a frying pan over medium heat until very hot. Increase the heat to high and add the meat, with the jamón down. Cook for a minute. Turn them over and cook for another minute. Take the meat out of the pan and put on preheated plates. 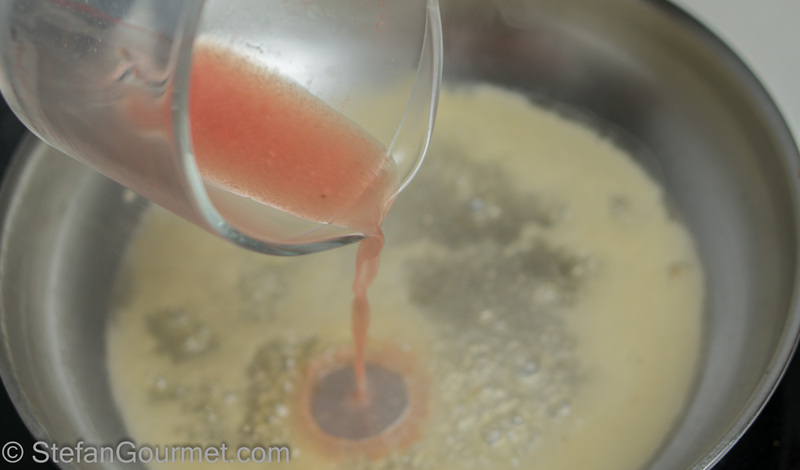 …and the juices from cooking the meat. Reduce over medium high heat until the sauce is thick. Spoon the sauce on top of the meat. Serve at once. 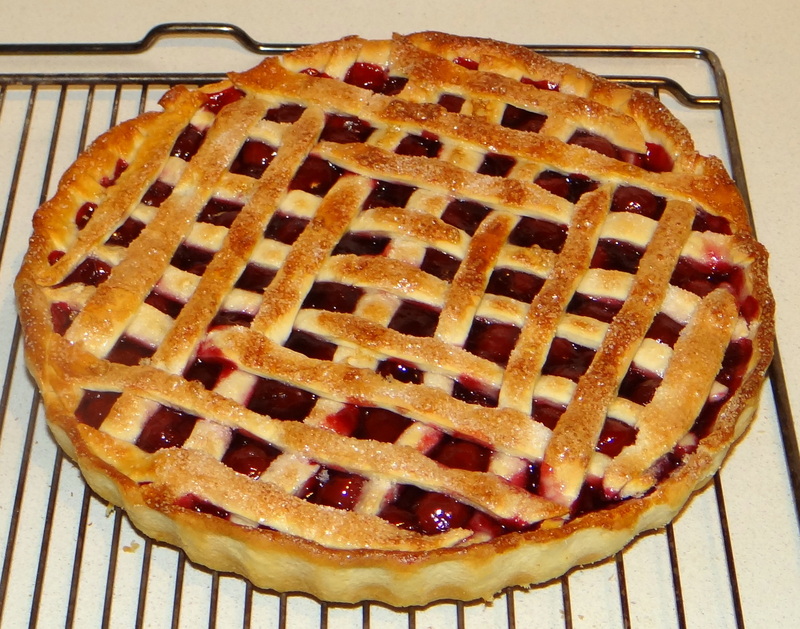 Limburgse kersenvlaai is a traditional cherry pie from Limburg, the southernmost province of the Netherlands. What is interesting about the recipe, is that the dough contains yeast. Basta! Come regalo di compleanno voglio quel coso lì per cuocere sottovuoto! Da te trovo sempre idee e suggerimenti nuovi ed interessanti. Grazie Stefan. Looks amazing Stefan. I know sous vide isn’t a hardship, but I can’t think three days in advance. You’ve inspired me to concoct some sort of saltimbocca for tea today. WOW. Be still my heart!